J. Frank Wharam, M.D., M.P.H., studies the effect of insurance benefits on health outcomes and is an expert in the analysis of health insurance claims data. 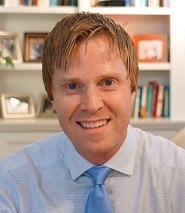 As Director of the Division of Health Policy and Insurance Research in the Department of Population Medicine at Harvard Medical School, Dr. Wharam leads projects examining the consequences of high-deductible health plans, including for breast cancer patients and on diabetes quality, outcomes and disparities. Dr. Wharam also cares for patients as a general internist in the Atrius Health system. The Betsy Lehman Center: What do you see in your research about the downstream effects of high-deductible health plans? Are patients being harmed inadvertently because the implications of these changes are not well understood? Dr. Wharam: High-deductible plans have grown steadily for more than a decade. You’d hope that by now we’d have good data about the health effects, but we don't. Earlier studies have given us an understanding of how these plans affect members’ use of health services. But I wanted to know if high-deductible insurance affects health outcomes, if it makes people sicker. So far, my research group has published two studies [here and here] where we tried very hard to determine if high-deductible plans resulted in unintended, adverse health outcomes. Both studies focused on people with diabetes. Taken together, the two studies show a disparity in the effect of an employer-mandated switch to high-deductible plans; low-income patients appear to have adverse health outcomes, and higher-income patients do not. I wanted to know if high-deductible insurance affects health outcomes, if it makes people sicker. Studies in health insurance claims data need to be carefully constructed to deliver meaningful results. Take emergency room (ER) visits, for example. It is fairly easy to capture these in claims data and one’s first impression might be that if high-deductible members experience increased ER visits, that is a bad outcome. But what if high-deductible members reduce their ER visits? That could also represent an adverse outcome because it might indicate worse access to care! It turns out that we need to carefully classify ER visits in a variety of ways and use appropriate study designs in order to make ER use a meaningful outcome measure. That last point is important. In our 2017 diabetes study, we looked closely at emergency room use and wanted to understand whether, when high-deductible members delayed outpatient visits for acute diabetes complications, they came to the ER sicker. But we couldn’t determine the patient’s level of sickness from claims data. So we used cost as a proxy, but only for a smaller subset of visits that we hypothesized could become more expensive after care delays, such as cellulitis, pneumonia, and urinary tract infections. In our 2018 study, we again looked at ER visits, but focused on all types of high-severity ER visits, not just those specific to diabetes. We found that the population of low-income patients had increased visits and costs, implying that they might have been sicker by the time they got to the ER. Going back to my earlier point: had we mixed together the low-severity ER visits (colds and ankle sprains, for example, which actually went down) and high-severity ER visits (that went up), we would not have been able to detect how high-deductible plans affect health outcomes. The low-income diabetes patients in high-deductible plans also had more hospitalization days that followed those ER visits. It’s indirect evidence but the best we have as far as I know. The Betsy Lehman Center: Do you see evidence that patients who have high-deductible plans delay or avoid treatment? Does the effect vary according to income level, age or other demographics? Dr. Wharam: Until I saw results of our recent breast cancer study, I might have felt comfortable making some generalizations, but not now. To provide some context, we’ve done a few studies where the effects of the switch to high-deductible plans are more pronounced in some populations than in others, consistent with our expectations. In diabetes, for example, low-income patients have reductions in care, as well as adverse outcomes, when they switch to those plans. But higher-income patients don’t seem to be similarly affected. Going into the breast cancer study, we thought we’d see a comparable pattern, but that’s not how it turned out. We found delays in diagnosis and treatment among breast cancer patients regardless of income level, and we saw similar findings when stratifying results by other demographic characteristics. The delay in breast cancer care seemed to cut across demographic groups, including women who lived in rural vs. urban communities and in predominantly white neighborhoods vs. non-white neighborhoods. The Betsy Lehman Center: To what degree do employers understand in advance how policies and plan design will affect patient care and outcomes? Dr. Wharam: This is an important question. I started my research career wanting to create tools to help employers understand the real effects of these plans on workers – both health and cost outcomes. We still don’t have sophisticated tools, but my hope is that research, such as our diabetes and cancer studies, will convince employers and insurance companies of this need. I sense that the subtleties of how these health insurance plans actually work are underappreciated. Small employers are fighting for survival. It is very likely they are choosing high-deductible plans based on cost so they can continue to offer health insurance. Large employers are in a better position, but even they don’t necessarily use sophisticated or reliable approaches to determine the effect of insurance choices. Some might get relatively good information from consulting companies, but I sense that their decisions are often driven by cost, hearsay or by a philosophical sense that people should have “skin in the game.” We are still influenced by the Rand Health Insurance Experiment, a landmark study from the 1970s and ‘80s. The Rand study was a rigorous but small, randomized trial with two important takeaways that people tend to remember: 1) high out-of-pocket costs reduced the use of all types of care for all types of people and 2) health outcomes did not change. This study actually did predict that people who are both sick and have low incomes would have worse outcomes in high-deductible health plans, but that more nuanced message, as well as other important details, seem not to be as well known. In our research, we find many things that support the Rand study’s findings and some that contradict, and we try to design studies that can answer questions that the Rand study could not. There is also patient-level and societal learning about high-deductible plans that could change effects compared with the Rand findings, and a vastly different health care environment now compared with the ‘70s and ‘80s. Ideally, employers would have greater awareness of effects of benefit design, but I sense that the subtleties of how these health insurance plans actually work are underappreciated. The Betsy Lehman Center: Do you see effects of cost-shifting on the patient-provider relationship? Should primary care providers be more proactive with patients who might, for example, delay diagnostic testing for cost reasons? Dr. Wharam: The datasets we use are not ideal for answering this question. However, in our research, we do see some evidence that cost is influencing the decisions patients make together with their providers. For example, people who come to the emergency room for care are less likely to be admitted if they have high-deductible plans. Busy ER docs are unlikely to know about the patient’s insurance status. It appears the patient’s awareness of cost is transmitted to the admitting physician; otherwise, why would admissions go down? One framework for thinking about high out-of-pocket costs is that these can cause side effects in the same way a drug can cause side effects. This has been termed “financial toxicity.” A patient who faces high cost might not accept or proceed with care recommended by the provider. Provider awareness of health insurance status does seem important. Increasingly, providers have care managers who look after certain vulnerable patients. Those teams should be aware of their patients’ insurance arrangements. That may be a way to reduce the potential for adverse outcomes among people with high-deductible insurance. Some researchers are using patient survey data to study behavior to learn why patients make certain decisions and to understand how high-deductible plans affect health outcomes. What we learn from survey data is different—more in-depth in certain realms—from what we learn from claims data and helps fill an important gap in the literature. The Betsy Lehman Center: What are the synergies between population-level health services research and patient safety efforts? In what ways should the two disciplines be working together? Dr. Wharam: As health services researchers, we’re very concerned about patient safety but we think about it in a different context. There’s always potential for health policies to harm patients. For example, there has been a lot of concern that 30-day readmission policies are having unintended consequences. As health services researchers, we’re very concerned about patient safety but we think about it in a different context. I think collaboration between patient safety experts and health services researchers is a great idea. We’re going continue to work on understanding the true effects of insurance plans on health outcomes. We expect to report results about the effects of high-deductible plans on health outcomes such as stroke, myocardial infarction, amputations, and breast cancer survival in the next year or two. We’re finally getting to the point where we can look at these important morbidities and events and gain a robust understanding. We hope that policymakers and health insurers use these results to design smarter, more tailored health insurance arrangements – what we have called “population-tailored health insurance designs.” Ideally, health insurance would be designed and incentivized based on rigorous evidence about effects on patient outcomes and populations.